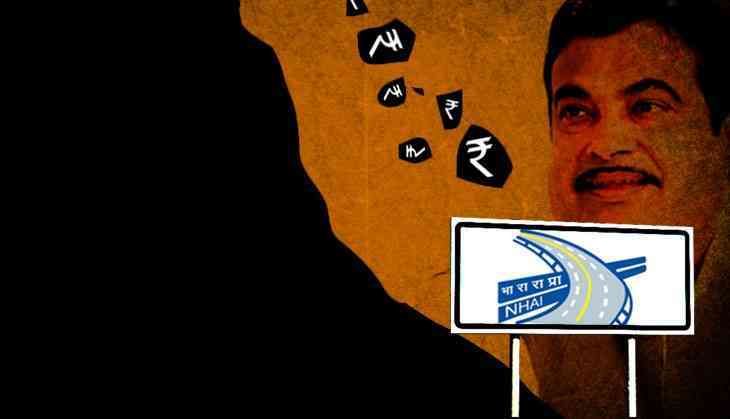 Home » Politics » Gadkari blocks NH-74 scam probe: Why is Congress letting him get away with it? The ongoing tussle between the BJP government in Uttarakhand and the Ministry of Road Transport and Highways over the Rs 240 crore NH-74 land scam has reached a tipping point. The state BJP government led by Trivendra Singh Rawat is at loggerheads with the Union ministry on the issue of a CBI probe into the scam and is even thinking of seeking legal opinion to pursue the case against the accused National Highway Authority of India (NHAI) officials. While the state BJP government is adamant on adhering to its policy of zero tolerance towards corruption seeking a CBI probe, the Union ministry led by Nitin Gadkari is threatening the state government with dire consequences, if the state BJP government doesn't withdraw the names of the NHAI officers from the FIR. The Union minister had last month written a letter to the state government claiming how such a move would adversely impact the morale of the NHAI officials which could jeopardise other projects in the state. Cautioning the state government, the Union minister in his letter cautioned the Uttarakhand chief minister to rethink about the CBI probe or else the ministry would re-examine all the new projects in the hill state. “I am constrained to say that the above actions by the government of Uttarakhand are bound to have an adverse impact on the morale of the officers and would impede the execution of projects. In this background, we would have to re-examine the usefulness of taking up more projects in the state,” wrote Gadkari. Interestingly, as the state government and central government slug it out in the court and in public, the Congress' central leadership has maintained an eerie silence over the issue. While the state unit has been raising the issue at multiple platforms, no such efforts are being made by the central leadership forcing many to question Congress' capability of raising issues which could corner the BJP government on issues of corruption. “We have brought it to their notice but for some strange reason there has been no response. We are raising the issue in news debates and social media but haven't been able to take it up as it should be. Moreover, we are busy with the internal polls and haven't been able to focus on this,” said a veteran Congress leader from Uttarakhand. The leader also pointed out that the newly appointed PCC chief Pritam Singh has just taken over and is yet to get a hang of things. He went on to claim that an issue like this wherein a central minister is threatening a chief minister of his own party to withdraw names of officials accused in the Rs 300 crore scam deserves to be taken up at the national level. “This is the moment we have been waiting for. We should be out on streets protesting against Gadkari's defence of those accused of corruption. Imagine how BJP reacted when similar cases were reported against the ministers in the UPA government. They didn't even leave the prime minister and here we are doing nothing despite being presented with a golden opportunity to expose the BJP that is rebutting its own chief minister for seeking a probe in a multi-crore scam,” he added. The other view in the party is that since the entire land acquisition project happened during the previous Congress regime, the party is hesitant on exposing its own. Congress' state vice president Jot Singh Bisht ridiculed these allegations and also dismissed the charge that the party was not doing enough to put BJP in the dock. Bisht said, “We are raising it everyday and have maintained that whosoever is involved should be brought to book even he or she is from the Congress. The central leadership has put the onus on the state unit to raise this issue and we are adhering to it.” He goes on to add that if these officers have no role than why are they shying from a probe. “Is the central government worried that some of its ministers in the state and the Center might be involved in the scam,” Bisht added. However, the veteran Congress leader disagrees with Bisht and claimed how Congress doesn't have the wherewithal to do it in Uttarakhand since the morale of party workers is at an all time low. During the recent assembly elections, Congress won only 11 of the 70 seats in the state and the party has not yet fully recovered from the embarrassing rout. According to him, one former Congress leader, who switched sides before the Assembly elections the minister in a Rawat government, is certainly involved in the scam. “Basically, BJP is trying to protect its own and it will be embarrassing for the saffron party if the probe reaches the doors of one of their ministers, ” he claimed. Dropping another hint, he accused brother of a powerful Congress leader to be also involved in the Rs 240 crore scam. “However, if it was only him then BJP would have had no issues but this is being done to protect their own minister,” he pointed. Earlier on Tuesday, the Nainital High Court gave a stay on the arrest of three officers of the NHAI who had filed a petition seeking quashing of FIRs against them. The three officers – regional officers PC Arya, project directors Narendra Kumar and Ajay Vishnoi – in their petition claimed that the land acquisition for the NH-24 widening project in Uddham Singh Nagar district was done at the behest of the previous state government. In their petition, they claimed to have been falsely implicated in the case. The court has asked the state government to file a reply within four weeks while directing the petitioners to thereafter file a rejoined against it within six weeks. The court has fixed 28 July as the next date of hearing. Moreover, Mukul Rohatgi, Attorney General of India, represented the NHAI officials during the hearing in the Nainital High Court. Soon after coming to power, Rawat, in his first cabinet meeting, held on 25 March recommended a CBI inquiry into the scam in which six sub-divisional magistrates were suspended. A detailed inquiry into the land scam was one of the promises of the BJP in the run up to the Assembly elections. Keeping its promise, the state government sought a CBI inquiry considering that central government officials were allegedly involved in the scam. According to the state government, agricultural land was shown as non-agricultural land to spike the compensation by almost 20 times the original price to benefit those involved, including the government officials. Thereafter, the state government wrote to Center seeking a CBI probe but received no response for a month forcing them to issue yet another letter. It was after this letter than Gadkari shot off a letter to the chief minister. Thereafter, Gadkari and Rawat had a meeting in Delhi where the latter reiterated his position of holding a CBI inquiry. Meanwhile, leaders of the state unit of the Congress feel there is still time for the high command to take up this issue which can snowball into something bigger. “We need to prioritise things and an opportunity like this is not likely to come again. I hope they wake up to realise that this can expose Prime Minister Narendra Modi's claims of a corruption free government,” said the veteran leader.